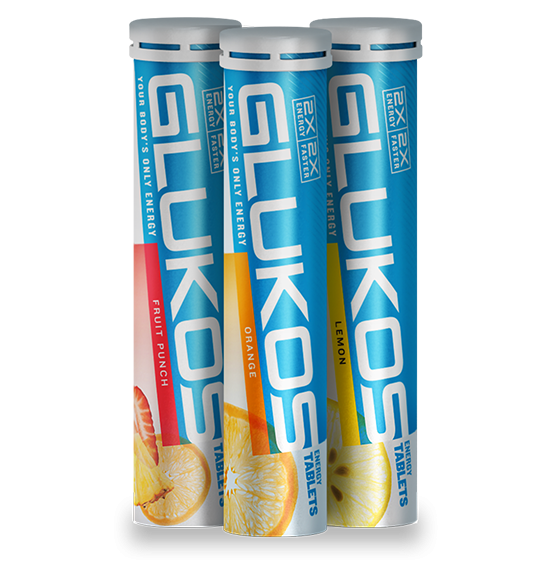 Don’t settle… get fast energy with GLUKOS Energy Tablets. This unique product gives you a pure, natural source of energy in the form of glucose. This results in your body absorbing the glucose into your bloodstream almost immediately through your mouth (no digestion required), providing a fuel source for your muscle tissues and brain giving you twice the energy and twice as fast as other energy products! There’s no caffeine, no high fructose corn syrup, and no artificial sweeteners. Either dissolve the tablets in a little water or just chew them. See your performance improve with GLUKOS Energy Tablets!